Sporty Performance and Handling!! Navigation and Power Moonroof!! Carfax Buyback Guarantee!! Turbocharged 2.0L!! 2012 BMW 328i Sedan, 2.0L TwinPower Turbo, Gray with Tan Leather Interior, ft BMW Premium Sound System, AM/FM CD/MP3 with Aux Input and Steering Wheel Audio Controls, Power Heated Seats, DSC/DTC Stability and Traction Control, Dual Climate Control, Power Locks, Windows, Mirrors, Fog Lights, Remote Trunk, Keyless Entry, and Alloy Wheels. Just Serviced, Automatic Certified! ALL SEASON ALL WHEEL DRIVE! Navigation and Back-Up Camera Systems!! Clean Carfax History with Buyback Guarantee!! Sporty Turbocharged Performance!! Moonroof!! 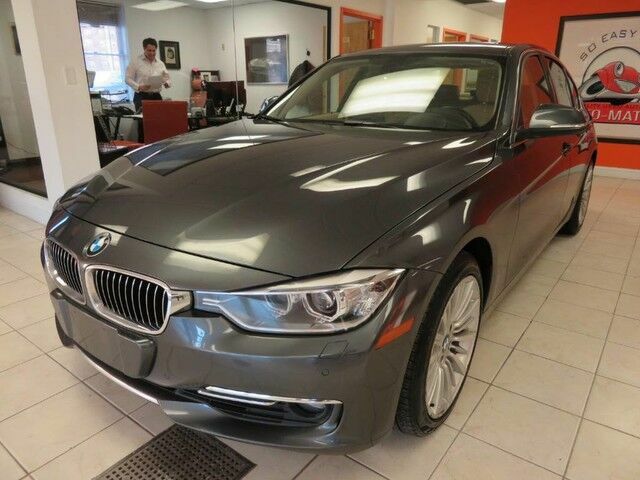 2015 BMW 328xi Sedan, 2.0L Turbocharged I4, White with Tan Leather Interior, ft BMW Premium Sound System, AM/FM CD/MP3 with Aux Input and Steering Wheel Audio Controls, Power Heated Seats, DSC Stability Control, Auto Climate Control, Power Locks, Windows, Mirrors, Fog Lights, Remote Trunk, Keyless Entry, and Alloy Wheels. Just Serviced, Automatic Certified! All Season All Wheel Drive!! Low 53k Miles!! Back-Up Camera!! Roomy Interior with Lots of Cargo Space!! NICELY EQUIPPED! Carfax Buyback Guarantee!! 2015 Ford Escape Titanium 4dr Sport Utility, 2.0L I4 EcoBoost, Black with Black Leather Interior, features AM/FM CD/MP3 with Aux/USB Input & Bluetooth, Dual Climate Control, Traction Control/ABS, Power Heated Front Seats, Power Locks, Windows, Mirrors, Cruise Control, Folding Rear Seats, Power Liftgate, Rear Spoiler, and Alloy Wheels. Just Serviced, Automatic Certified! Sporty SE Hatchback!! 40 MPG Highway!! Only 6k Miles!! One Owner Vehicle with Clean Carfax Report!! Heated Seats!! Back-Up Camera!! 2017 Ford Focus SE Hatch, 2.0L, Black with Gray Interior, features AM/FM CD/MP3 Player with Aux Input, Steering Wheel Audio Controls, Air Conditioning, ESC Stability and Traction Control System, Power Locks, Windows, Mirrors, Cruise Control, Folding Rear Seats, Rear Spoiler, Keyless Entry and Alloy Wheels. Just Serviced, Automatic Certified! Nicely Equipped SE Edition!! Low 37k Miles!! Carfax Buyback Guarantee!! Back-Up Camera!! 2016 Ford Fusion SE, 2.0L EcoBoost, White with Gray Interior, features Touch Screen SYNC System for Bluetooth, AM/FM CD/MP3 Player with Aux Input, Steering Wheel Audio Controls, Power Driver's Seat, Dual Climate, 4-Wheel Traction Control System, Power Front Seats with Driver Memory, Power Locks, Windows, Mirrors, Cruise Control, Folding Rear Seats, Keyless Entry and Alloy Wheels. Just Serviced, Automatic Certified! 4MATIC All Season All Wheel Drive!! Low 26k Miles!! CARFAX BUYBACK GUARANTEE!! Back-Up Camera!! Heated Seats!! 2015 Mercedes-Benz GLA250 4MATIC, All Wheel Drive Sport Utility, White with Tan Leather Interior, features Premium Harman Kardon AM/FM CD/MP3 and Aux Input, Steering Wheel Audio Controls, Dual Climate Control, Heated Power Front Seats with Memory, Wood Dash Trim, Power Locks, Windows, Mirrors, Folding Rear Seats, Power Tailgate, Fog Lights, and Alloy Wheels. Just Serviced! Auto-Matic Certified! All Season All Wheel Drive!! Great Reliability and Fuel Economy!! Back-Up Camera System & Navigation!! CARFAX BUYBACK GUARANTEE!! 2015 Nissan Rogue SL Sport Utility, 2.5L I4, Black with Black Leather Interior, features Touch Screen Sound System, AM/FM CD/Mp3 with Aux and Bluetooth, Dual Climate Control, Push Button Start, Power Locks, Windows, Heated Mirrors, Cruise Control, TCS/VDC Traction Control, Folding Rear Seats, Fog Lights, Power Tailgate, Keyless Entry, and Alloy Wheels. Just Serviced, Automatic Certified! ALL SEASON ALL-WHEEL-DRIVE PERFORMANCE! CARFAX BUYBACK GUARANTEE! Back-Up Camera!! Great Fuel Economy!! 2015 Subaru Impreza, Symmetrical AWD Sedan, 2.0L H4, Black with Black Leather Interior, features Automatic Transmission, Touch Screen AM/FM CD/MP3 with Steering Wheel Audio Controls, Air Conditioning, VDC Traction Control System, 4-Wheel ABS, Power Locks, Windows, Mirrors, Cruise Control, Folding Rear Seats, Rear Spoiler, Fog Lights, and Alloy Wheels. Just Serviced, Automatic Certified. ALL SEASON ALL-WHEEL-DRIVE PERFORMANCE! CARFAX BUYBACK GUARANTEE! Back-Up Camera!! Heated Seats!! Super Clean!! 2015 Subaru Outback Limited, Symmetrical AWD Wagon, 2.5L H4, Tan with Tan Leather Interior, features Automatic Transmission, Harman Kardon Sound, Touch Screen AM/FM CD/MP3 with Steering Wheel Audio Controls, Air Conditioning, VDC Traction Control System, 4-Wheel ABS, Heated Front and Rear Seats, Power Locks, Windows, Mirrors, Cruise Control, Folding Rear Seats, Rear Spoiler, Fog Lights, and Alloy Wheels. Just Serviced, Automatic Certified. Super Reliable and Luxurious!! Lots of Cargo Space!! Touring Package!! Back-Up Camera!! Carfax Buyback Guarantee!! 2014 Toyota Avalon XLS Touring Hybrid Sedan, 2.5L I4, Black with Black Leather Interior, features Touch Screen AM/FM CD/MP3 with Aux/USB Input, Air Conditioning, Traction Control w/ABS, Power Locks, Windows, Heated Mirrors, Cruise Control, 12vDC Power Outlet, Remote Trunk Release, and Alloy Wheels. Just Serviced, Automatic Certified.